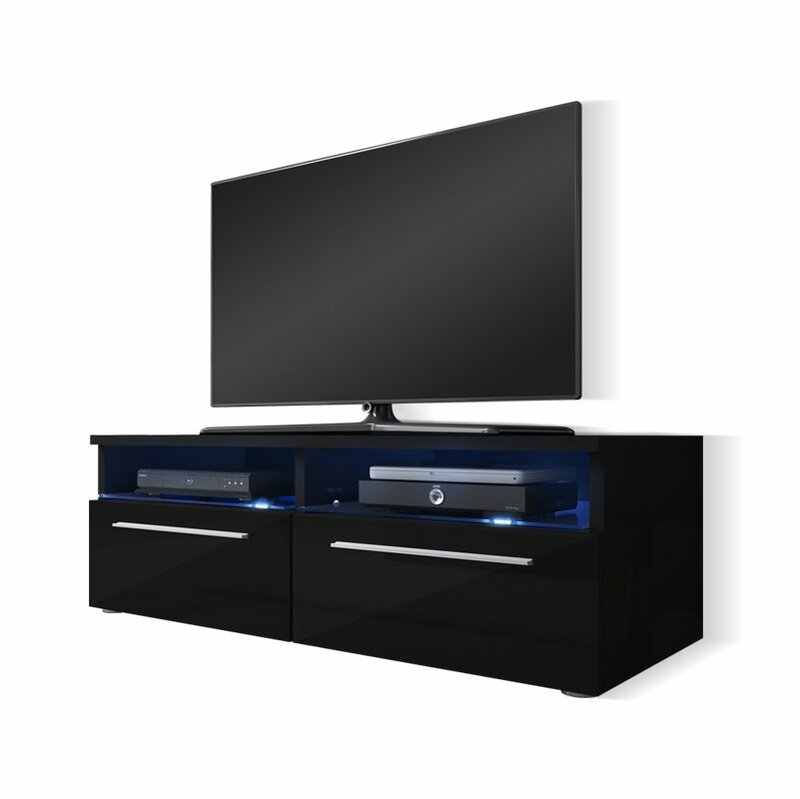 A great way to incorporate both practicality and contemporary design into your living space. 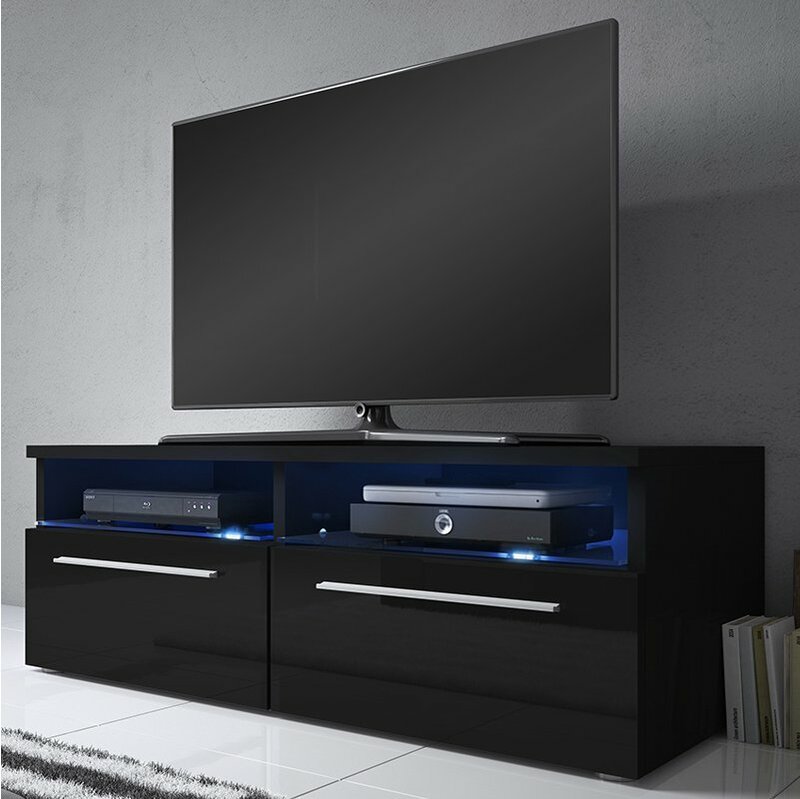 This stylishly designed entertainment unit, features a durable matt side body finish with two stunning gloss front door panels. 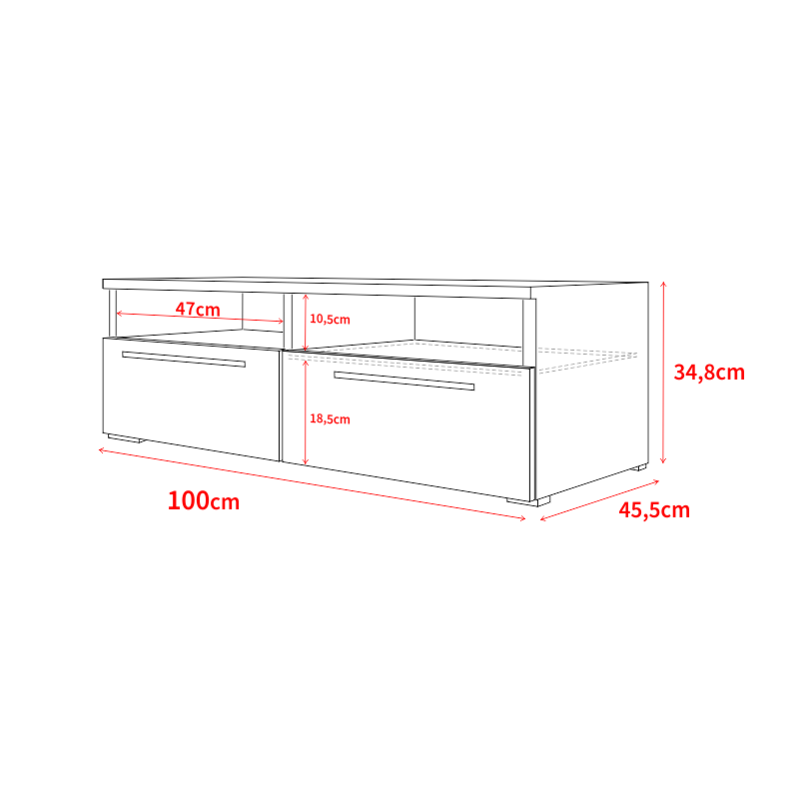 The Siena entertainment unit is ideal for small spaces and is constructed with two glass shelves that allow for stowing of a variety of audio visual accessories, while other items can be hidden away from view in the lower compartments. 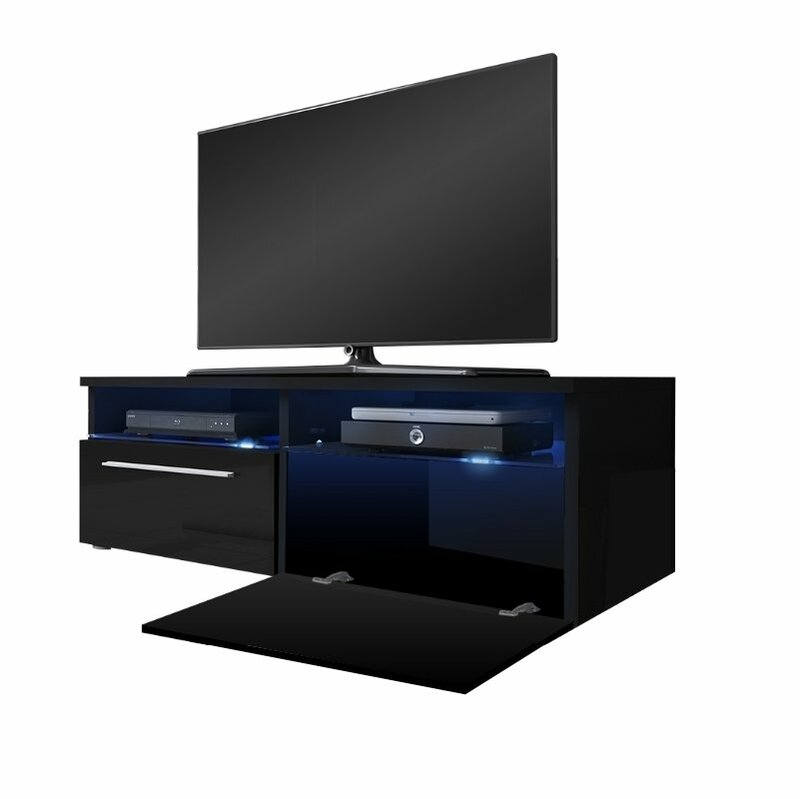 Included is a Blue LED lighting system that will truly complement the unit and your living space. The Siena is delivered flat packed and accompanied with easy-to-follow/illustrated assembly instructions. NOT TALL ENOUGH HAD TO BUY ANOTHER UNIT TO PUT IT ON. The light just makes the whole set up look fantastic. It is fairly simple to set up and build.